Steel Supplies Charters Towers supplies high tensile transport chains with a width of 8mm with hooks to suit any length. 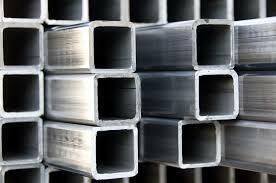 They have been coated by world class galvanisation methods ensuring superior durability. Like any Steel Supplies Charters Towers product, they are built with the highest quality, globally sourced steel. Our steel chains have undergone an independent quality verification to ensure you are buying the best. We at Steel Supplies Charters Towers provide a delivery guarantee to anywhere in Australia, no matter what size the order.